With the summer months fast approaching it’s time to get your backyard ready for friends, BBQ’s, and sun! Here are some top trending backyard ideas to help get you ready for summer. Backyard sustainability and low maintenance features seems to be the new trend. Until recently California was in a very severe drought and because of that many people opted for drought-tolerant plants and swapped grass with artificial turf. Both of these additions are crucial to keeping a low maintenance backyard. 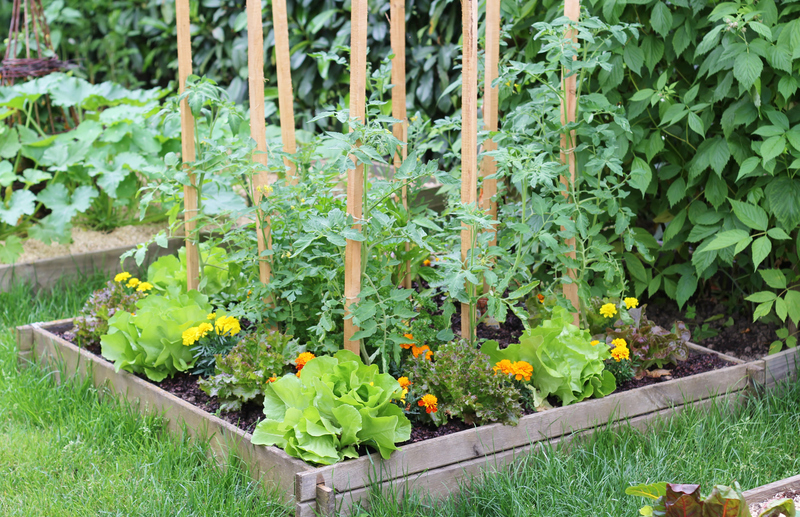 More people have become gardeners with the hopes of fresh vegetables and fruits from their own backyard. You no longer have to worry if you forgot to buy basil; you can simply walk outside and grab some from your garden. No sure where to start? You can go to your local nursery and get tips and tricks on how to start your very own garden. There has been such advancement in the fabric textiles for furniture that now you can get decorative high quality fabric furniture pieces that are just what your backyard needs! This is a great way to add more seating and add a pop of color. As much as we all love the Californian sun sometimes you want to sit outside and enjoy the beautiful weather without breaking into a heavy sweat. Covered Patios allow you to enjoy the outside rain or shine all year round. It allows you to make your patio feel as though it is an extensions of your home.